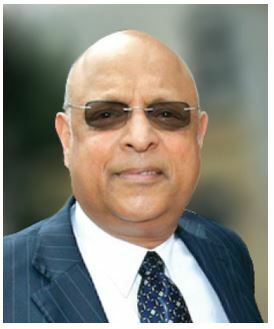 SAANTHA NAIDU is the CEO of the Saantha Naidu Group (SNG). Saantha Naidu says he got into the hospitality industry by accident 25 years ago, when in 1993, a number of entrepreneurs including him, acquired a holiday apartment building on Durban's Golden Mile, the Coastlands Durban Hotel and Self-Catering apartments. During 2007, the SNG group identified a site on the popular Ridge Road (now Peter Mokaba Road) in Musgrave to develop upmarket residential apartments. However, during the construction phase it was decided to adapt this building according to the requirements of a hotel, which then opened as a four-star graded hotel in November 2009. One year later, November 2010, saw the launch of another four-star Coastlands Hotel situated on the Umhlanga Ridge, a booming corporate and leisure node. In 2015, Coastlands Hotels and Resorts added the iconic Royal Hotel to its portfolio. In respect of the Royal Hotel, Naidu said, "Owning the property is something we are excited about, It is a place of historical value that everyone can relate to." Coastlands Hotels and Resorts has also acquired apartments in Umdloti and on KwaZulu-Natal's most prestigious Zimbali golf and lifestyle estate. The SNG Group is currently developing a billion-rand-plus luxurious development, The Skye. Located at Ridgeside, Umhlanga, this will be a mixed-use space comprising residential, retail and a hotel. Naidu says his vision for The Skye is to have multiple generations living upstairs and working downstairs, with shopping facilities and restaurants closing the experiential loop. "It is all about creating the perfect lifestyle living environment into which people can retire. And even though our demographic includes retirees and those approaching retirement age, The Skye is not an oldage home. Instead, it provides families of all ages with a welcoming child-friendly environment underpinned by world-class security measures." When it comes to what inspires Naidu in this business, he says, "What inspires me the most is employing people, we employ around 800 people today and that helps put food on the table for about 5000 people - that inspires me a lot." He says the hospitality industry is very challenging and getting into it was difficult. Coastlands Hotels and Resorts was one of the first non-white groups to get into 4-star hotels and build them to the scale that they are today, and the group enjoys this process a lot. Naidu says he has been successful because of the people he has around him, "Firstly, I have a lovely family who support me, and secondly, I have staff that been with us over 25 years. My success is basically because of the people around me." He says that his staff are part of the family and that there is nothing that they do without first discussing decisions with senior management. "I do not do anything without other people's advice. We are there to learn from others and I believe that others can teach us." For him service is the most important thing in the hospitality industry. "Details, making sure the customers come first, treating them with the utmost respect, giving them what they deserve." He says they try to give the 'home away from home' experience for their customers. Naidu has a wife and four children; all his children are involved in the business and he says they have a fantastic relationship where they are very open, and they have discussions on every aspect regarding the business. When it comes to after hours, he says that exercise is very important to him and he really enjoys walks on the beach in his spare time. Naidoo gets up at 5.30 every morning and walks on the beach and back home by 7am and he works a good 10 to 11 hours a day. He also enjoys listening to good music and spending time with his grandchildren. His advice to people, "Work hard, be honest and sincere, put others first before yourself." He says, "Serve the people around you, do what is best for everybody, you must be able to sleep at night with no regrets."